SOUTH AFRICA, Cape Town. 27th November 2011. Volvo Ocean Race. 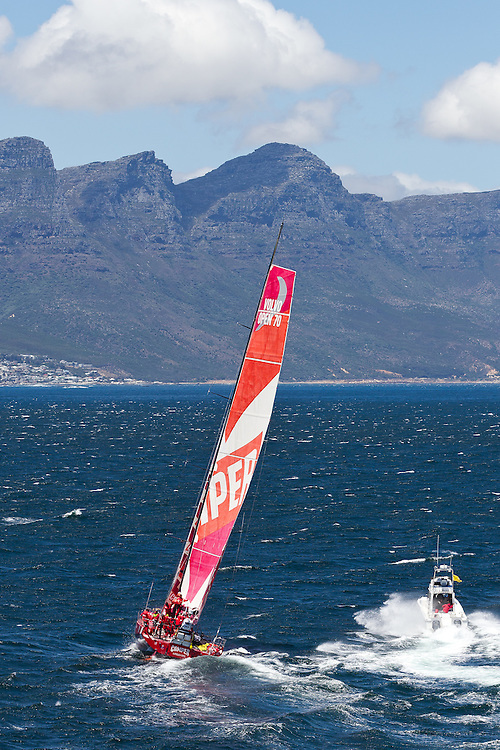 CAMPER with Emirates Team New Zealand arrives in Cape Town second in Leg 1.